You know those pieces that you purchase and they hold memories? That's this top. My grandparents took my cousin and me to London several years ago (yes, it has some age on it) and that's where I purchased it. I'm still a fan. I'll probably try to hold onto it long after I grow out of it, because I often convince myself I still need half the clothes in my closet I rarely wear. 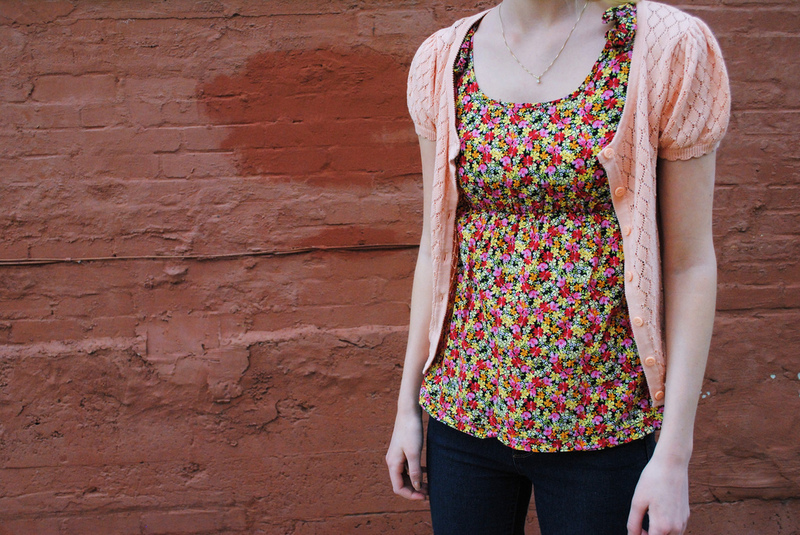 I love the sweetness it has and I doubled the sweetness with this cardigan. 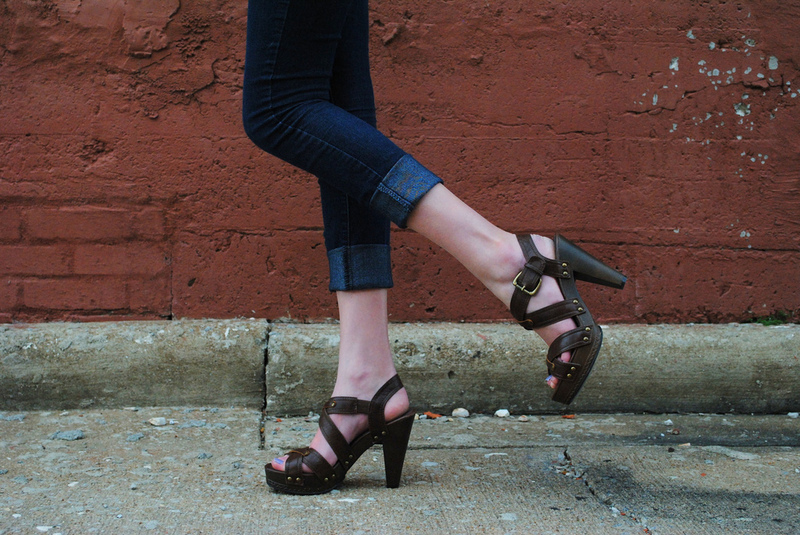 I cuffed some skinny jeans and added a pair of wedges to complete this look. I hope you're enjoying the nice weather if you have it where you are! I love that this top holds such great memories for you. It's super cute on you! plain white tee meets emerald.